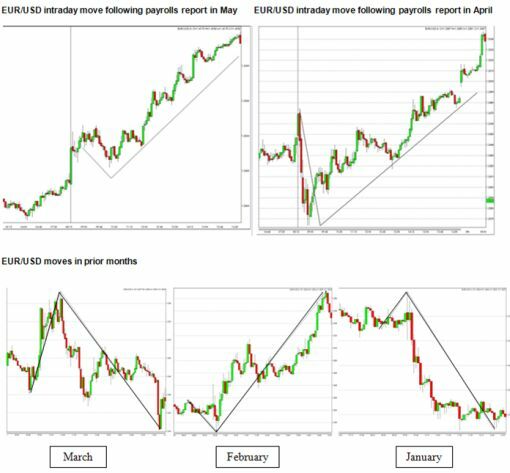 May Non-farm payrolls are due for release tomorrow and as usual, I want to warn currency traders about the dollar’s knee jerk reaction to NFP. Five out of the last five non-farm payrolls were released, the knee jerk reaction was quickly erased. Even though the direction associated with these instances has not always been the same, we can see that the immediate reaction is not sustained, and eventually reversed into a more substantial move that lasted for the course of the day.